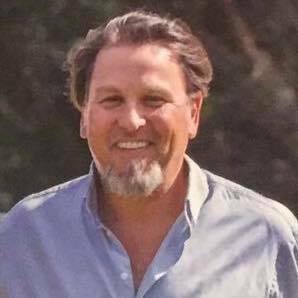 Since moving to Sonoma Valley, Marcelo Defreitas has been instrumental in raising funds for many local non-profits including the Sonoma Valley Museum of Art, Jack London State Park, Lyon Ranch, and Sonoma Valley Fund, to name a few. Marcelo currently serves as the President of the Board of Directors for La Luz. Marcelo is credited for the success of the Centennial Gala at Jack London State Park and "transforming" La Luz Center's annual Noche event. He has been described as "a champion of the (Sonoma) Valley," dedicated to many Valley causes and organizations. During the October 2017 wildfires, Marcelo was reported to have driven his truck throughout Sonoma seeking to help those in need and working "tirelessly" to aid residents displaced by the fires by serving meals at La Luz Center and finding shelter for those in need. Marcelo was born in Brazil and grew up on a cattle ranch. He studied Public Relations at a local university and began working at the largest publishing company in South America. In 1984, he moved to San Francisco where he completed his B.A. in Graphic Design at The Academy of Art University and continued as an instructor at the Academy of Art University until 1997. In 1988, he joined Primo Angeli Inc., the noted packaging design company, as a junior designer. He stayed at Primo Angeli until 1999 having been promoted to art director. Marcelo met his husband Scott Smith, an attorney and native San Franciscan, in 1989. The couple purchased property in Sonoma Valley in 1998 where they eventually built their home. A Reception in honor of Marcelo Defreitas is scheduled for March 29, 2018 at Vintage House Sonoma. See reception details.